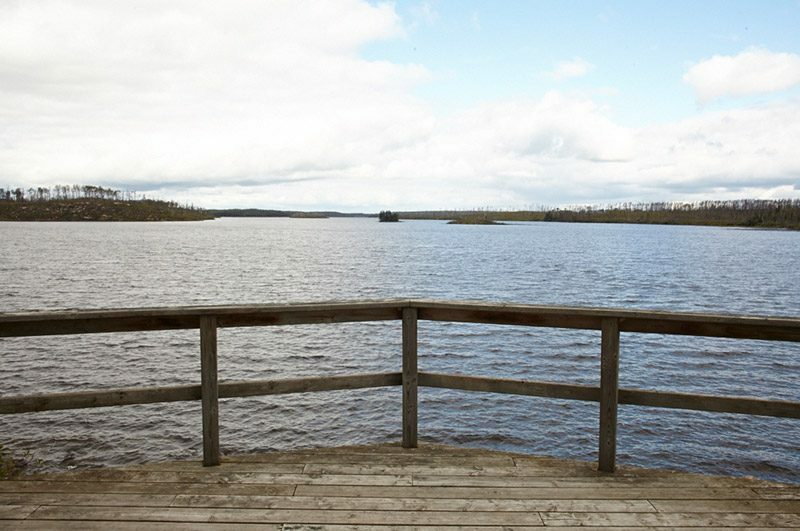 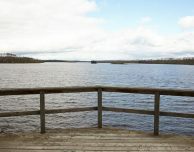 Larus Lake is located on the Bloodvein River System in the heart of the Woodland Caribou Provincial Park. 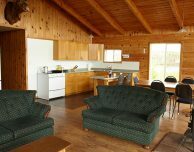 It’s the perfect spot to see wildlife! 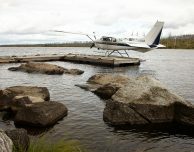 In Canada’s untouched wilderness, you will have an opportunity to see plenty of Moose, Bear and Eagles along the shoreline. 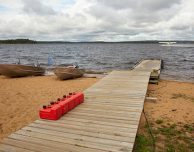 Larus Lake is 6+ miles in length with inlet rapids, deep water and plenty of structure, ensuring that our anglers have the potential to catch high numbers of trophy Walleye and Northern each day. 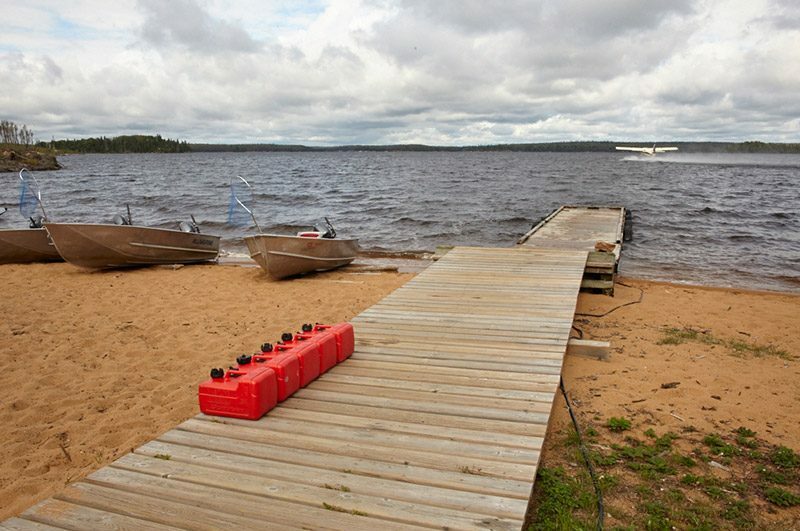 On an average day, you can expect that at least one or two people out of your group is going to bring a trophy Walleye to the boat – perhaps even a 48” Northern! 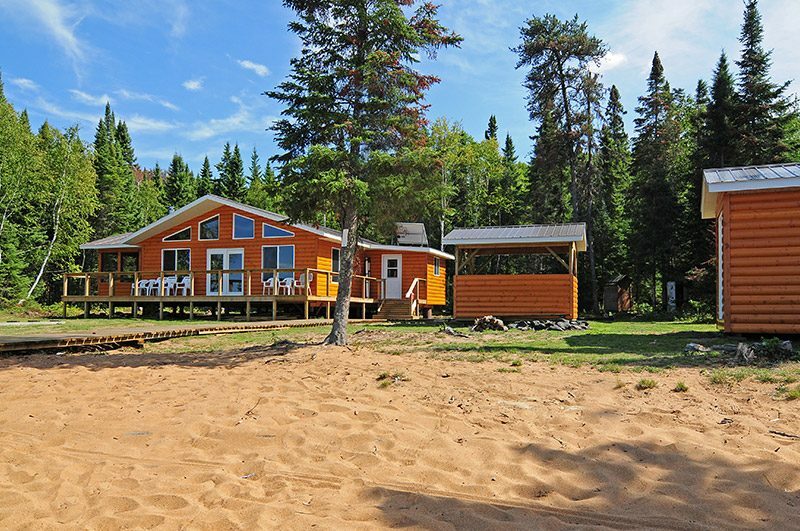 We are the only outfitter on Larus with two outposts to choose from. 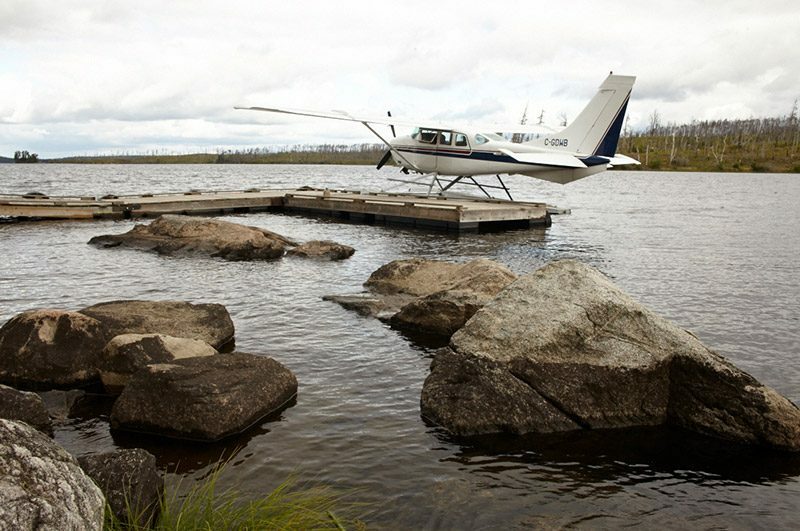 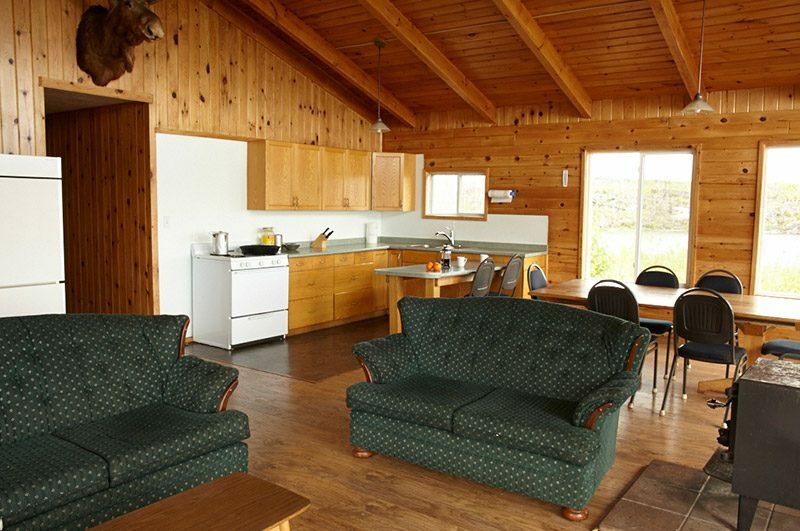 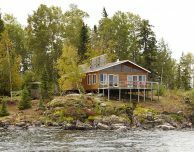 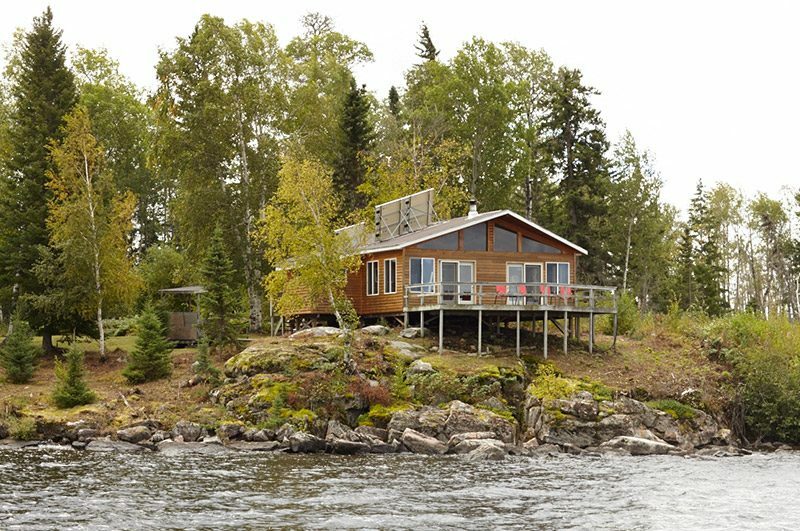 These outposts set the standard for comfort on a fly-in fishing trip! 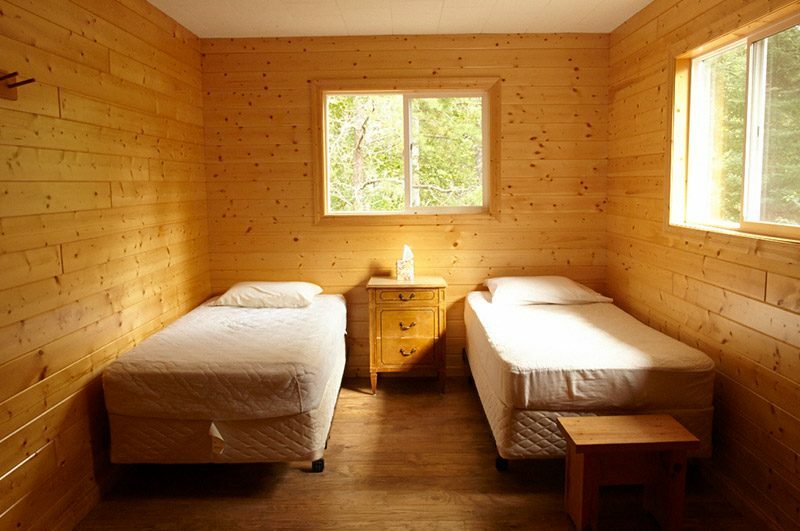 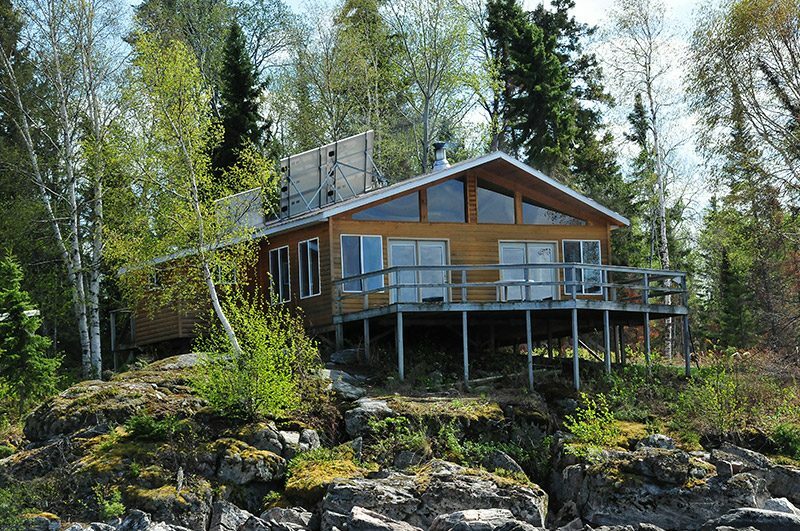 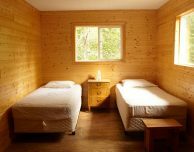 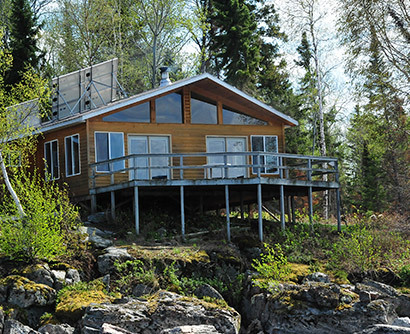 One cabin is in a sheltered, well-protected bay. 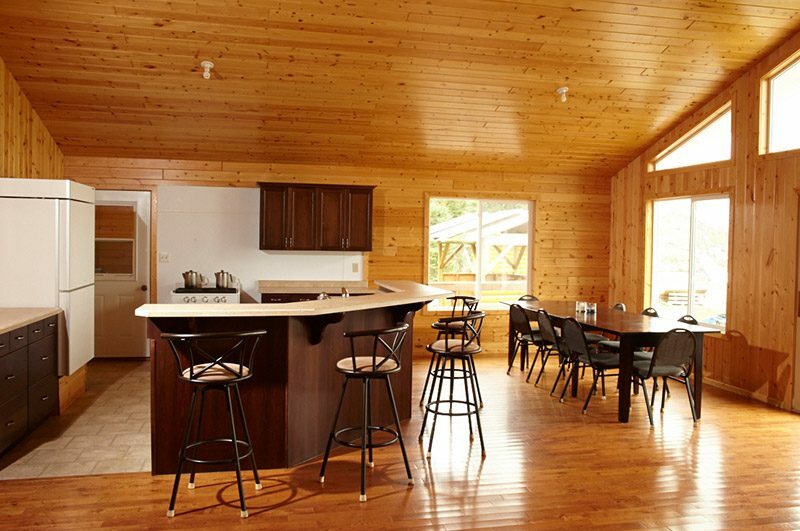 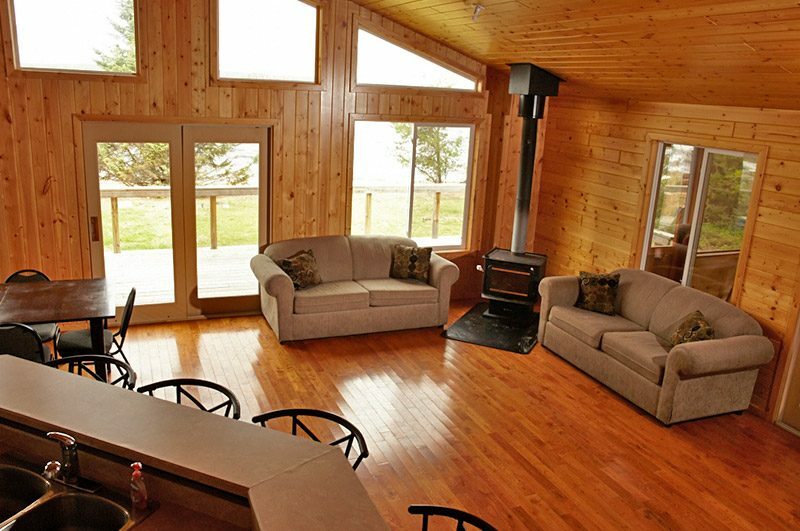 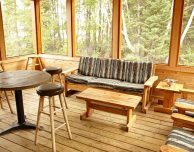 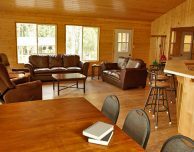 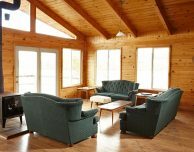 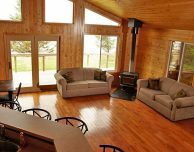 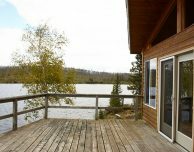 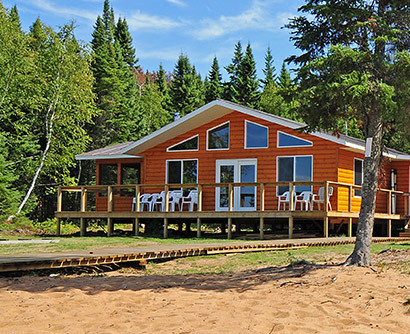 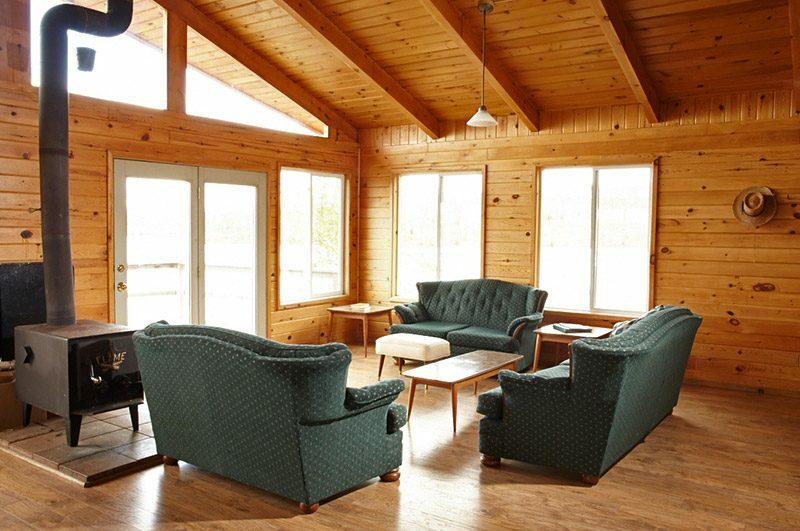 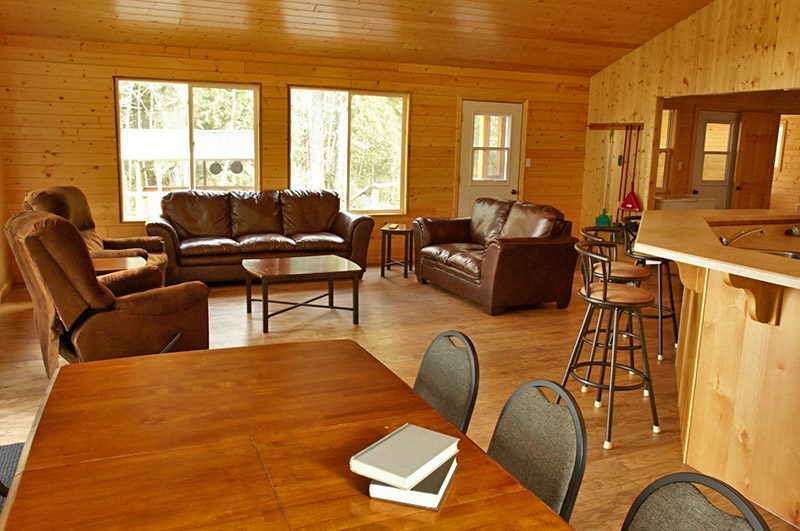 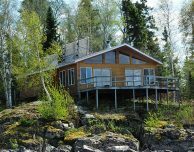 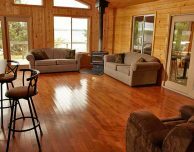 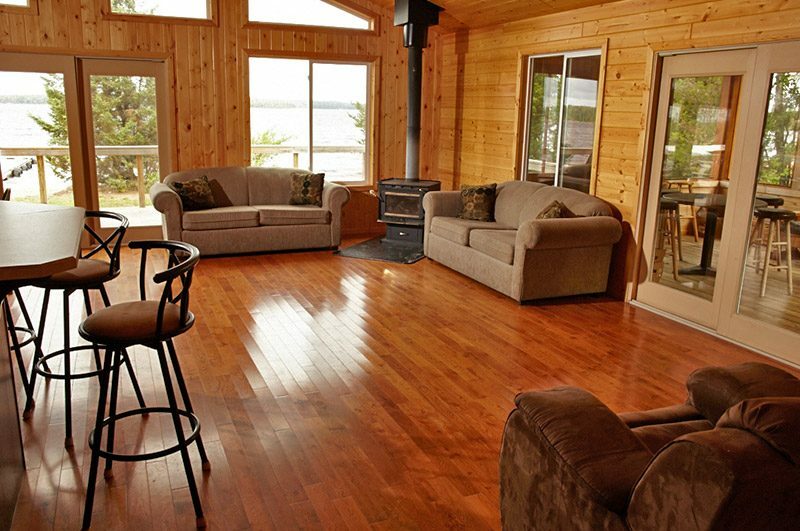 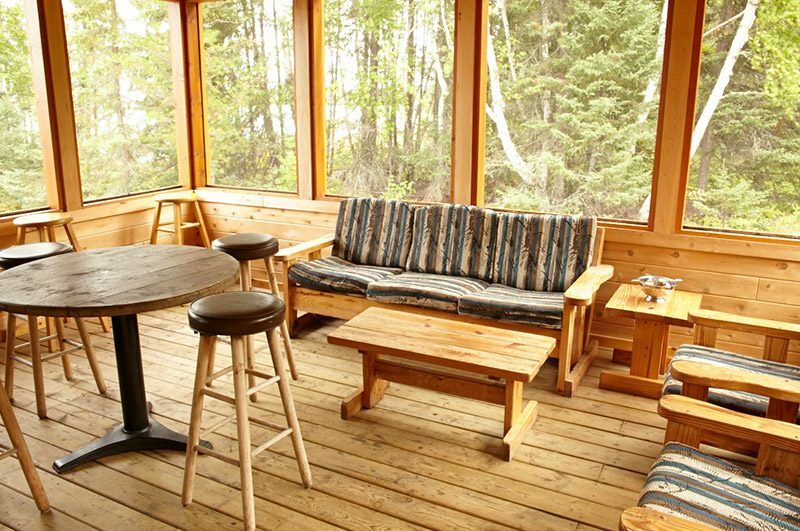 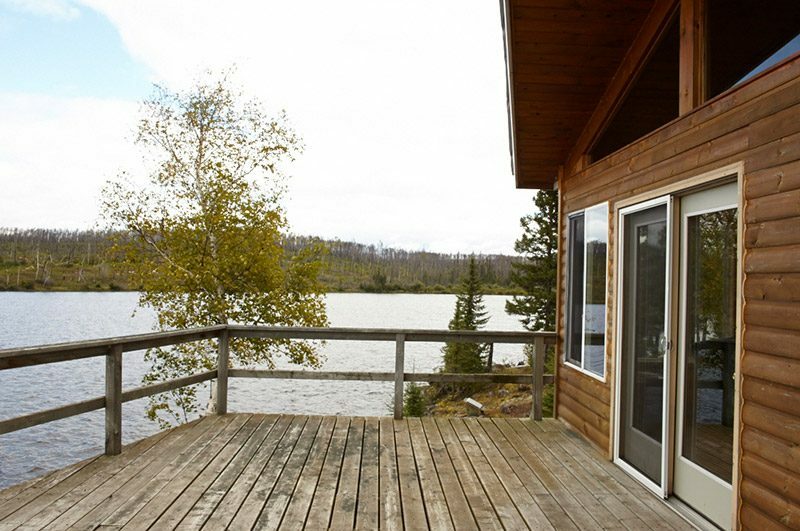 From the large deck, you will see beautiful views of the sunset and possibly even a Moose chomping on some lily pads! 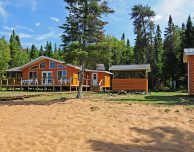 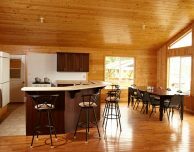 The beach location has new hardwood floors, a wonderful screened-in porch, a wraparound deck with panoramic view, a walkway from the dock to deck and covered outdoor cook area that will exceed your imagination.